Merito is all you need for your next websites from now on. 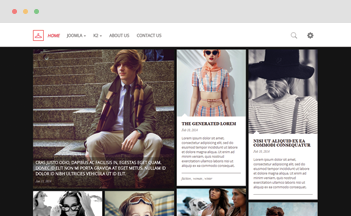 It is the multipurpose Joomla Template with clean and flexible design. The template is available in Joomla 3.x, completely responsive and versatile with full functions to enable you to create your website effortlessly, whether it is business, corporate, portfolio, landing, shop or any other types you want. Bootstrap3, HTML5 & CSS3, K2 and Unite Revolution Slider 2 built in, it is the perfect choice for any website you can imagine of. Not that's all, Merito comes along with many more amazing features listed below and dedicated support for our beloved users. Check out following awesome highlighted features. 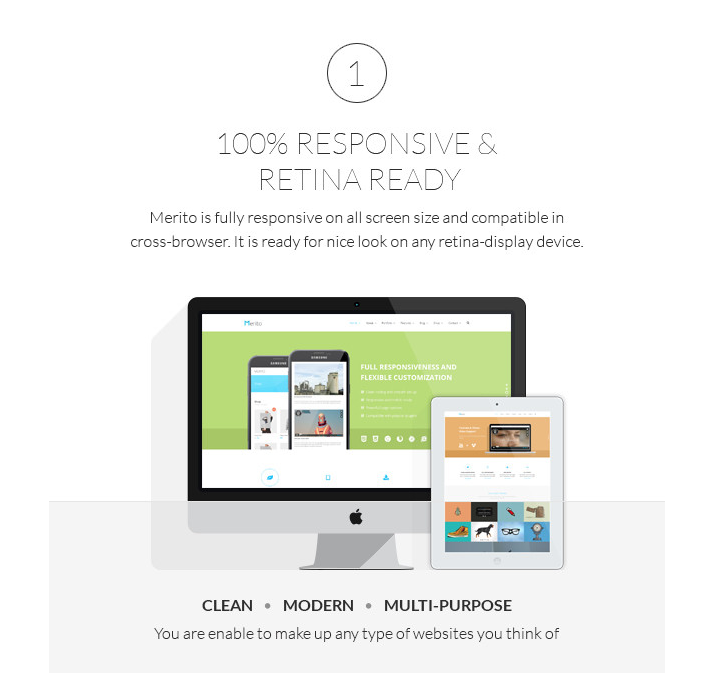 Merito is totally responsive multipurpose Joomla template on all screen size and compatible in cross-browser. 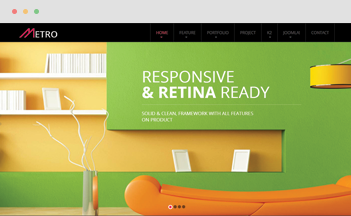 Your website will be shown splendidly on all retina-display devices and high resolution screens. Mega menu is very useful to orderly manage large amount of content. 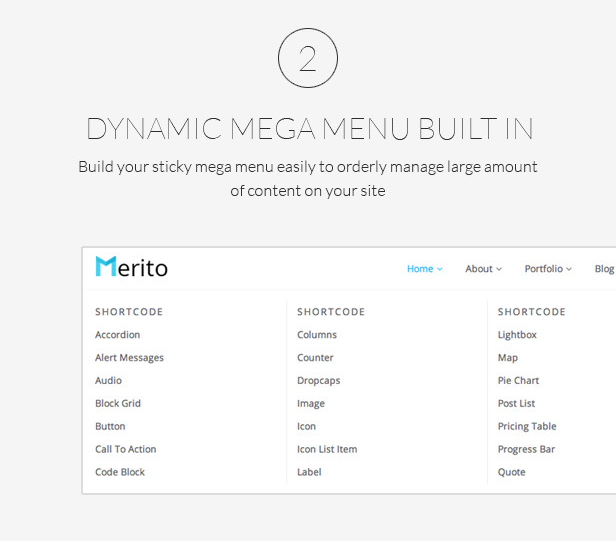 Merito is ready for you to build a sticky mega menu for your site. 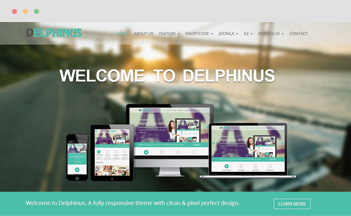 Immediately catch your visitors’ eyes with the gorgeous parallax page and smooth scrolling effect. 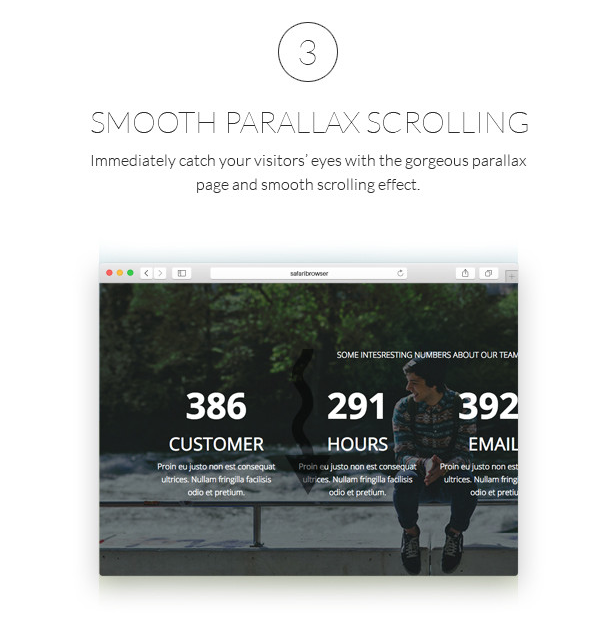 You can set parallax effect for any section of your pages easily from backend. Number of Shortcodes were made to save your time and effort building your page. 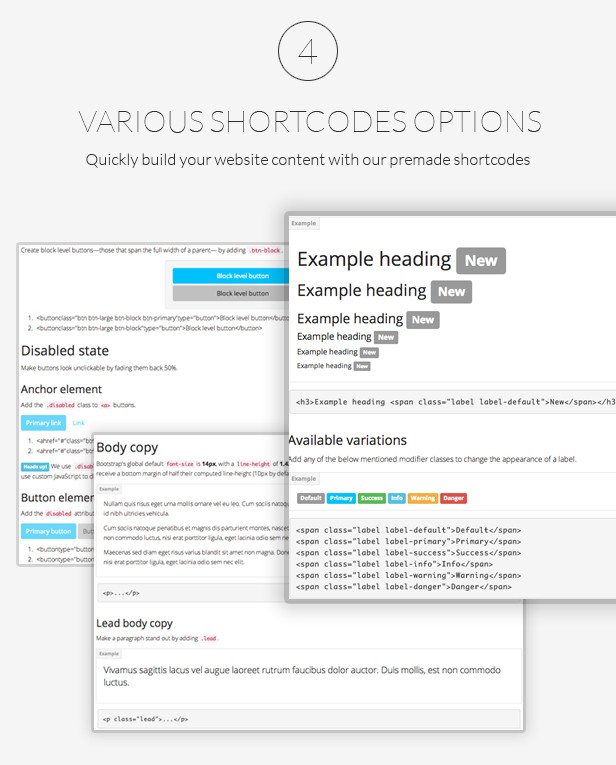 Merito Shortcodes go with lots of options. Play around to discover more. We preset 4 sample colors (pink, dark blue, purple, brown) just for small preview. You can choose your own unique one since Merito goes with unlimited color. 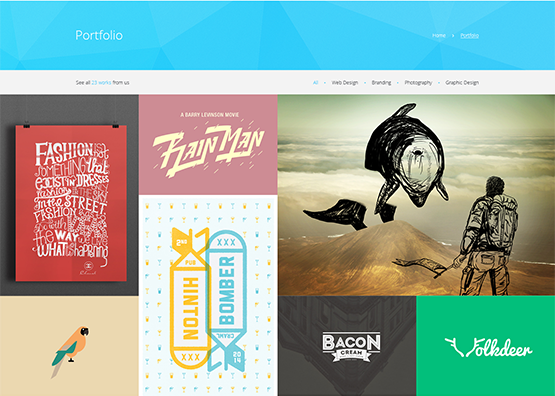 Boxed or Full-width layout give different look for your page. You can choose which one suits your idea the most. 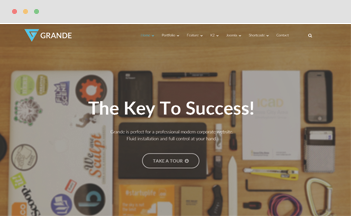 Landing page is perfect for launching a product or running a campaign. It focuses only on the products or actions of your visitors you are waiting for. With Merito, you can create a newly landing page in minutes. You can choose your preferred blog layout, full-width layout for a simple look or with sidebar layout for ordering easily. 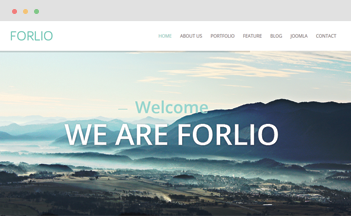 A beautiful slider will give your site extremely great look. Create awesome slider in an intuitive interface with various effect and save your $25 with Merito. Merito works well with JoomShopping, the popular plugin that helps you build your online shop handily. In our demo, we did give you preview of shop demo. You can make it even better. Reliable plugin for your Newsletter and email marketing system which is necessary for any website to keep in touch with your visitors. Yet Merito goes well with the plugin.